From October 9-13 the 15th, 2017, I attended the Textile Exchange meeting organized under the umbrella of the Sustainable Development Goals titled “United by Action: Catalyzing the Sustainable Development Goals in Textile” held in Washington DC. 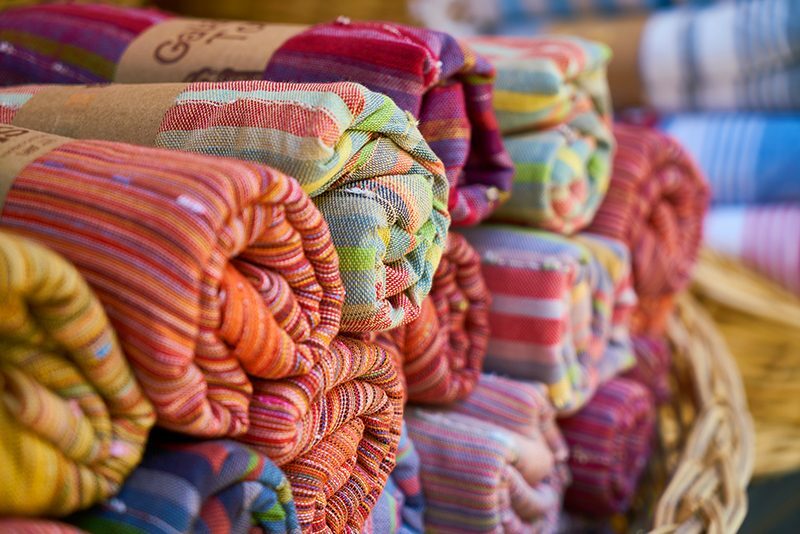 The SDGs, which replaced in 2015 the Millennium Developing Goals, are seen as a great lever to address the urgency of sustainability within the textile value chain. Although being in place for almost 3 years, the question of where to start and how to do things in the right way within the textile industry were still discussed during this meeting. Taking into consideration that the textile industry has already made major steps towards the implementation of ethical requirements and voluntary sustainability standards, it is still the second largest polluter after the global oil industry. The meeting raised again the necessity of collaboration of various stakeholders to create more awareness and to improve implementation. The conference started with a kick off from Mina Gulli from Thirstforwater.org about one of the most important imperative within the textile value chain: water. Very interesting that Mina emphasized again on the water footprint every individual is generating within their daily life amounting to 28,429 liters of consumed invisible water which is based on 14,763 liters for the production of a cotton suit, 3,690 liters for a cotton shirt, 912 liters for a mobile phone. One cup of coffee needs 140 liters before we can enjoy it and a pair of cotton socks takes 924 liters. This invisible water footprint is more than an individual person will drink in his entire lifetime. I do believe that there is still a lot of educational work to be done in order to get this essential knowledge transferred to the end consumer and to give them these examples in order to do better. The questions which pop up looking at these figures are whether the consumer does not know or does not want to know. Understanding how to help consumers appreciate their own lifecycle footprint is a new concept that requires a refreshed take on what civic responsibility means. In any case getting the consumer on board in the sustainability march towards the achievement of the SDGs will be imperative. The discussion of where to start with the SDGs within the business resulted in the conclusion that the SDGs are very tangible for business. But even if properly integrated into today’s business there is still a long way to go and envisioned completion of the SGS in 2030 is just around the corner. It is more important to identify where and how business will create a meaningful and measurable impact on the 17 SDGs together with their 169 targets authentically without accusations of being a green washer. In this respect, Circular Economy was the key word, from a linear “take-make- dispose” economy to a circular “take-make-remake” economy addressing the approximately 50 million tons of textile waste produced by the industry every year. Based on the recently published “pulse of fashion report”, global fashion waste will increase to 148 million MT in 2030 which leads to an equivalent of 17.5 kg/person per year of textile waste alone. It was pointed out that we need to stop working in silos and look beyond our daily plate of actions. It is imperative that the SDGs is being carried out as well to the point of manufacturing and getting the suppliers on board in the very early state as the success of the SDGs clearly depends on shared and mutual responsibility and action. Keep it simple but straight forward and be active rather than reactive was a clear message of the first day. Man-made fibers, mostly viscose, has the third largest share of the total fiber market after polyester and cotton. Organic cotton has greater availability and usage within the industry. The use of Man-made cellulosic which already has a significant share in the market is expected to rise within the next years, yet is under critical observation from Non-Governmental Organizations such as Canopy due to the use of natural feedstock such as endangered trees. Based on the latest Dirty Fashion Report the production of viscose if not approached with an integrated production process is causing tremendous pollution and danger to human health. The workshop I co-hosted was about Man Made cellulosic and it was agreed that it is imperative to have a mutual dialogue between key stakeholders from all organizations involved in order to look for possible solutions. The key take aways I gathered are that we are at that stage where we all mutually can adjust and change what’s needed to ensure a safer and cleaner production of man-made cellulosic and to create a win-win solution for all stakeholder involved. It was interesting to note that the investment community has come to question the way that non-financial reports are done, pointing out that the submitted “data-bubble” is no longer sufficient for analysts to evaluate a company’s sustainability approach and its implementation. This should trigger an alarm as it is imperative to move away from just collecting KPIs to showing evidence of using these KPIs in a more meaningful way and trying to identify what is necessary to be done in terms of sustainability. Finally the panel which I attended was asked to go on a journey toward the year 2030 and to give our thoughts where we all will be in 2030 in terms of the sustainability development goals and their implementation. The feedback from the panel ranged from optimistic to neutral. My take on this was that I do not wish my children to think that we have not acted although we knew what possible impact it would have if we do not take sustainability as seriously as supposed to be. We all have created ‘big data’ and continue to do this every year while preparing sustainability reports. But have we as well acted enough on the already existing data we have? Isn’t it time to take a deep breath and look at what we have, analyze this and commit to the way ahead transparently? I do believe that only creating data will eventually be labeled an alibi for not reacting on what we already know. With the data we have we will be able to lead the way towards a better world to live in. It depends on how serious this is being implemented and not just used as a green wash.
From my point of view the TextileExchange is delivering an amazing knowledge exchange platform for practitioners to discuss the way ahead in the sustainable textile business and to set the agenda. Please note that the document reflects only the authors point and only focusing on a few events at the TE as it was not possible to attend all relevant sessions. The way ahead for the textile industry looks promising if all key players involved are delivering what is being discussed and promising. We need to work more closely together. During the TextileExchange the latest report on Preferred Fibers & Materials 2017 was officially released providing important data on fibers and the forecast for the way ahead.